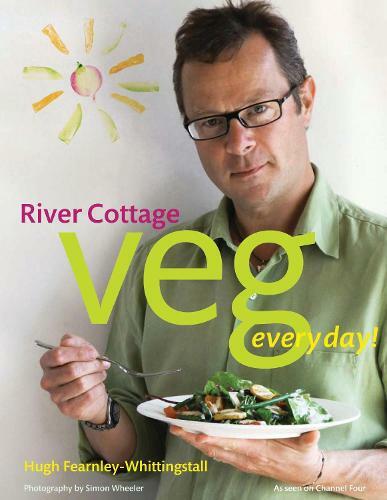 River Cottage has been a household name in the UK since 1998 when a floppy-haired Hugh brought his now-famous food ethos to our TV screens, and into our kitchens with his soon-to-follow cookbooks. 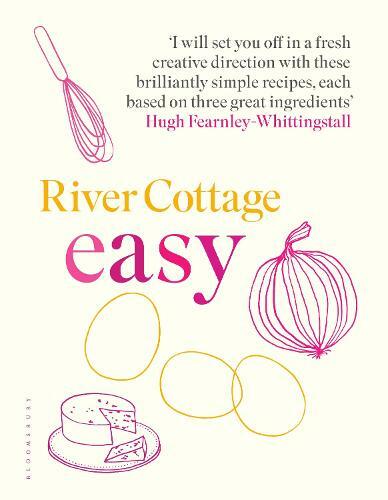 As treat for Easter weekend we offer five of our favourite recipes from these River Cottage kitchen classics. 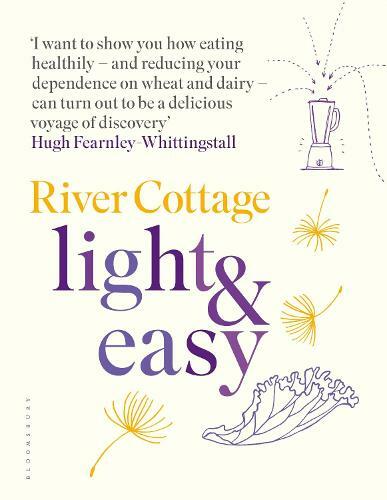 River Cottage has been a household name in the UK since 1998 when a floppy-haired Hugh brought his now-famous food ethos to our TV screens, and into our kitchens with his soon-to-follow cookbooks. In 2006 Hugh and the River Cottage team moved to the Devon/Dorset border and set up HQ at Park Farm, where they have happily been ever since. 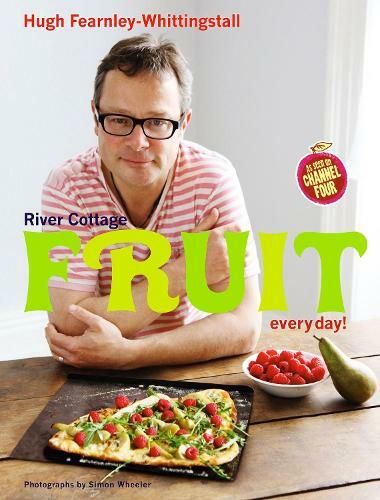 Around the same time, River Cottage forged a partnership with Bloomsbury which has now seen over a decade of beautiful bestselling books – from the early River Cottage Every Day to the most recent tome River Cottage A to Z, an encyclopaedic love letter to the ingredients and sustainable relationship with food that Hugh and his team champion. The books, the TV series, and Hugh’s hard-hitting campaigns have changed the eating habits of our nation as well as improving the welfare and sustainability of animals and fish. 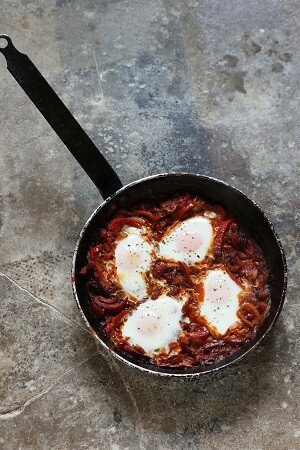 This spicy North African pepper and tomato stew with eggs baked on top makes a lovely, lazy supper. The classic Italian peperonata (see below) is prepared in the same way but without eggs or spices – it is equally good. Heat the olive oil in a large, preferably ovenproof, frying pan over a medium heat. Add the cumin seeds and let them fry gently for a couple of minutes. Add the onion and cook gently for 8–10 minutes, or until soft and golden. Add the garlic and peppers and continue to cook over a low heat for at least 20 minutes, stirring often, until the peppers are soft and wilted. Add the paprika, crumble in the saffron, then add the tomatoes with their juice and some salt and pepper. Cook gently, stirring from time to time, for 10–15 minutes. Preheat the oven to 180°C/Gas Mark 4. Taste the mixture and adjust the seasoning if necessary. If your frying pan isn’t ovenproof, transfer the mixture to a baking dish. Make 4 hollows in the surface and carefully break an egg into each one. Sprinkle with salt and pepper. Bake for 10–12 minutes, until the egg white is set and the yolk still runny. Simply leave out the cumin, paprika, saffron and eggs, serving the stew after simmering – with bread and/or a crisp green salad. These are exceptionally good burgers; I’ve never known them fail to please anyone. They are essentially a kind of seared steak tartare – with the spicy seasonings leaning more towards a Bloody Mary. You can’t use any old minced beef for them. Ideally, ask your butcher to mince some top rump or topside for you, on a medium (4–5mm) rather than a fine (2mm) setting. If you’re shopping in the supermarket, go for minced steak rather than minced beef – preferably organic. The better the meat, the more you can be inclined to serve these burgers pretty rare. 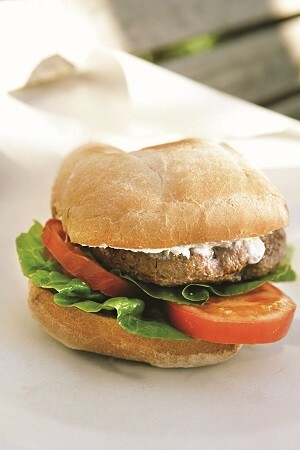 As an alternative to the horseradish dressing, you could serve the burgers simply with hot mustard and mayonnaise. In a medium bowl, mix together the tomato purée, horseradish sauce, celery seeds, Tabasco, Worcestershire sauce, salt and a generous grinding of black pepper. Add the beef and mix thoroughly with your hands, making sure the seasonings are spread throughout the meat. Leave for at least an hour for the flavours to develop. Meanwhile, make the horseradish dressing: mix all the ingredients together in a bowl, seasoning with salt and pepper to taste. Break off a small piece of the beef mixture, the size of a walnut, and fry in a little oil until well cooked. Taste and adjust the seasonings if necessary. Shape the meat into 4 patties about 2cm thick. Lightly brush each one with oil, then place on a barbecue over a high heat. It’s hard to give exact cooking instructions due to variables such as the thickness of the burger, the heat of the grill and personal preference. For a medium-rare burger, you will probably need to grill for 3–4 minutes, then flip over and cook the other side for a couple of minutes. If you’re cooking the burgers indoors, use a lightly oiled, heavy-based frying pan set over a medium-high heat. Leave the burgers to rest for a minute or two while you prepare the buns. Good with chips, obviously, but if they’re too much effort, warm up some good-quality plain salted crisps in the oven. This is a fantastic, substantial salad, bursting with good things. If you can roast the beetroot ahead of time – or if you have some left over from another dish – then the whole ensemble takes just minutes to put together. Preheat the oven to 190°C/Gas 5. 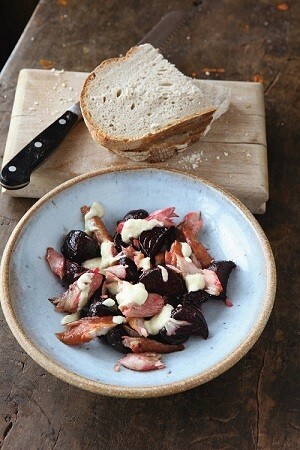 Scrub the beetroot and cut any larger ones into chunks, so they are all roughly the same size. Put in a roasting tray with the garlic, thyme, if using, 2 tablespoons oil and some salt and pepper. Shake the tray to toss the ingredients together. Cover with foil and bake until the beetroot are tender, about 1 hour but possibly longer. Discard the garlic. Leave the beetroot to cool completely, then peel and cut into thick slices. To make the dressing, whisk all the ingredients together with some salt and pepper to combine. Set aside. Break the smoked mackerel into bite-sized chunks, checking for any small bones. Divide the mackerel and beetroot between serving bowls. Spoon some of the horseradish dressing over the salad and put the rest into a small bowl on the table so people can help themselves to more. Serve with bread on the side. A couple of handfuls of flat-leaf parsley or watercress add colour and even more flavour to this salad. Toss lightly with the beetroot and fish before adding the dressing. Kipper fillets work as well as smoked mackerel. Grill or poach lightly, let cool, then break up and use as the mackerel. I love this recipe. The fruity acidity is coming from gooseberries rather than the traditional tomatoes, but it’s everything a gazpacho should be: refreshing, cooling and full of vibrant flavours. Serve it lightly chilled on a summer’s day. Pre-chill the main ingredients, and/or blend with a couple of ice cubes and you can serve straight from the blender. Put all the ingredients into a blender, add 50ml water and process to a purée. You’ll probably have to stop a few times initially and tamp the ingredients down to get the purée going and you may need to add a little more water, particularly if you have used fresh gooseberries, to get a thick soup consistency. Taste and add more salt, pepper, sugar or vinegar if needed. 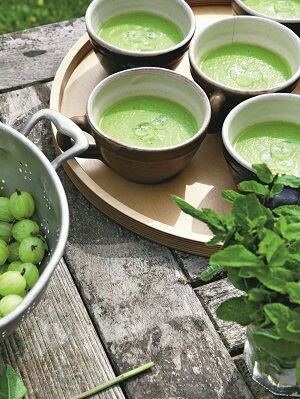 If you’ve used chilled gooseberries and cucumbers, the soup will already by nicely cool and ready to serve. Otherwise chill it lightly in the fridge and whisk well before ladling into bowls or cups. Give each portion a trickle more rapeseed oil. Some sliced raw gooseberries look lovely on top, or use a few edible flowers – such as borage, nasturtium or marigold petals. This variation on the classic lemon curd is tart, sweet, rich and completely delicious. The curd doesn’t keep for very long once opened, so it makes sense to preserve it in small jars. Sterilise 5 small (250–300ml) jars by washing them thoroughly in hot soapy water, rinsing well then putting them upside down on a tray in a low oven (at 120°C/Gas ½) to dry out and warm up. Put the blackcurrants in a saucepan with the lemon juice. Bring slowly to a simmer, stirring often until the fruit starts to release its juice, then simmer gently for 5–10 minutes until the blackcurrants have collapsed. Rub this mixture through a fine sieve into a heatproof bowl to obtain a smooth purée. Add the butter and sugar to the blackcurrant purée and set the bowl over a pan of simmering water. Stir until the butter has melted and the mixture is smooth. Take off the heat and let it cool for a minute – you don’t want it to be too hot when you pour the eggs in, or they will scramble. It should be cool enough that you can comfortably put your finger into it. Pour in the strained beaten egg, whisking all the while. Return the pan to the heat and stir the mixture over the simmering water until it is thick and creamy. This will take at least 10 minutes. It should register 82–84°C on a sugar thermometer. If the mixture does get too hot and start to scramble, take it off the heat and whisk vigorously until smooth. As soon as it has thickened, pour the curd into the warm jars and seal. Leave to cool completely. 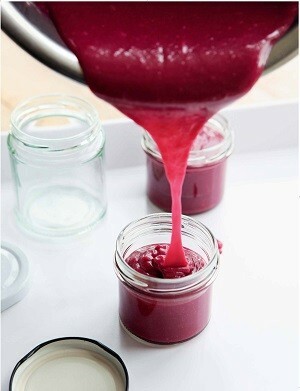 Store the blackcurrant curd in the fridge and use within 4 weeks. Once opened, it should be used within a week. Eating your curd Spread it on scones, dollop on eggy bread or rice pudding, or try it rippled into a muffin mix before baking. It’s also exquisite in the middle of a sponge cake. Or, with a blob of yoghurt and few fresh berries, it makes a great, quick pud. 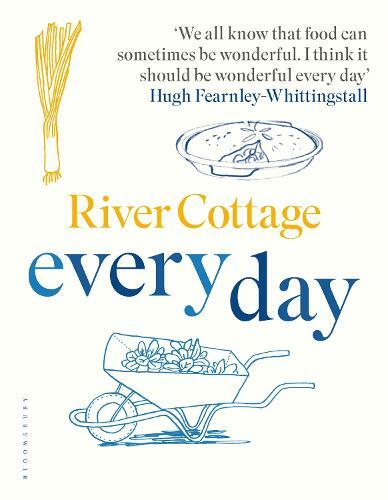 "A collection of more than 180 appealing everyday recipes from the bestselling author of the River Cottage series"--Provided by publisher. 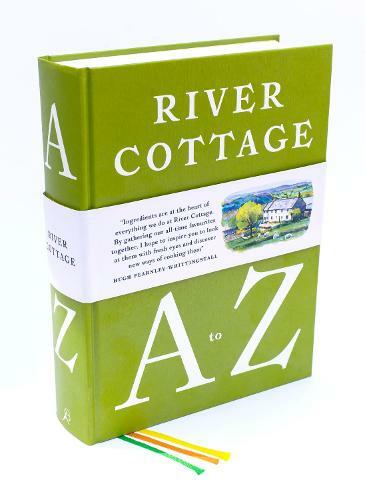 An authoritative and glorious A to Z of more than three hundred ingredients and three hundred recipes, set to become an essential tome in the River Cottage library.